Kanye West and adidas Originals will be entering the holiday season with a few upcoming releases, which includes this adidas Yeezy Boost 350 V2 Static iteration. Much like the adidas Yeezy 700 V2, this adidas Yeezy Boost 350 V2 will comes dressed in a “Static” colorway. It features an upper composed of White and Grey re-engineered Primeknit with a transparent monofilament side stripe woven into the upper. The midsole utilizes adidas’ innovative Boost technology. 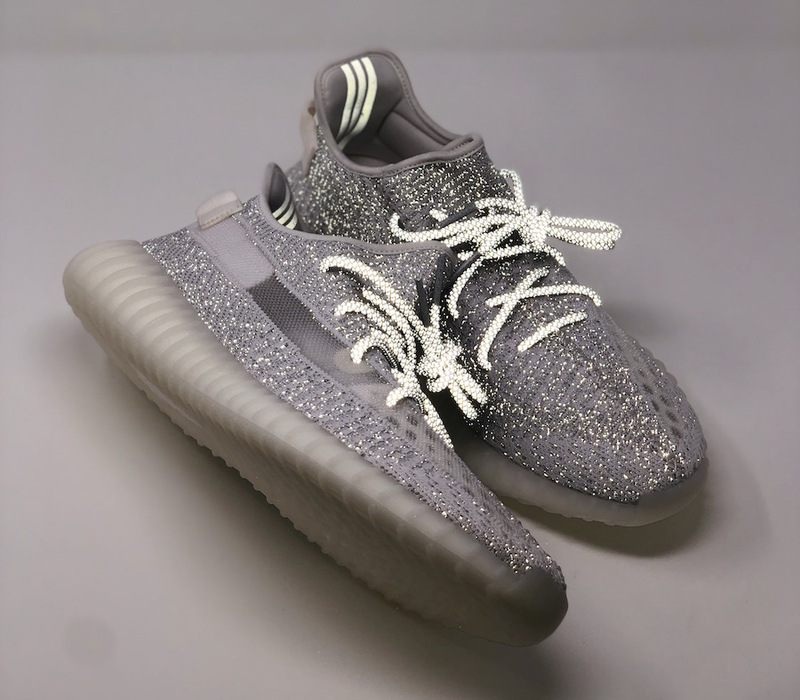 Look for the adidas Yeezy Boost 350 V2 “Static Reflective” to release on December 26th via Yeezy Supply, followed by the “Non-Reflective” pair on December 27th at select retailers and StockX. The retail price tag is set at $220 USD each. UPDATE: The “Reflective” Yeezy Boost 350 V2 has been confirmed to release on December 26 exclusively on Yeezy Supply. UPDATE: adidas has already confirmed that the “Non-Reflective” pair will release on December 27th. Now we get word that the limited “Reflective” pair will be dropping a day early, on December 26th. Here are some on-feet photos courtesy of @yankeekicks. There are also two photos of the entire “Reflective” Pack that includes both 350s and the 700. 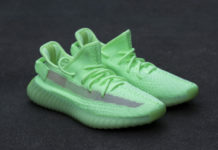 UPDATE: While we wait for an official release date, which is rumored to drop at the end of the month, here are new detailed photos of the upcoming “Static” Yeezy Boost 350 V2. Shown here courtesy of @hanzuying are images of normal effect and reflective in the light. UPDATE: adidas releases official photos of the “Static” Yeezy Boost 350 V2. A release is expected later this month alongside the “Static Reflective” version, which will be limited to only 5,000 pairs. 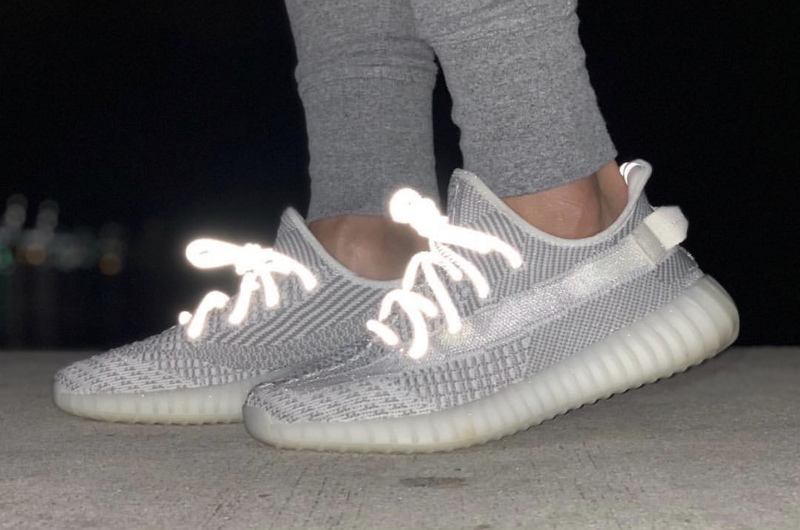 UPDATE: According to Yeezy Mafia, there will be two different “Static” Yeezys set to release, the previously seen iteration with a translucent stripe and another reflective version. The “Static Reflective” colorway will be extremely hard to get as they’ll be limited to just 5,000 pairs worldwide. Stay tuned to Sneaker Bar for more updates as they develop. UPDATE: Detailed photos of the “Static” adidas Yeezy Boost 350 V2 via Stadium Goods. UPDATE: On-feet photos of the “Static” Yeezy Boost 350 V2 via Yeezy Mafia. UPDATE: adidas adds 3M rope laces to the upcoming “Static” Yeezy Boost 350 V2 along with the Three Stripes on the inner heel. 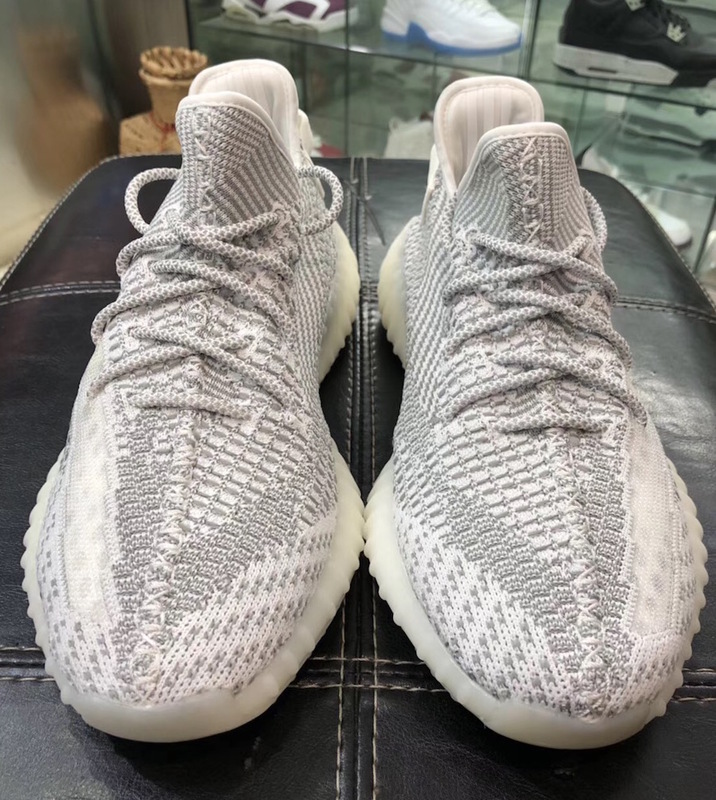 UPDATE: New photos of the “Static” adidas Yeezy Boost 350 V2 via s.sam.group. A release date is set for sometime in December 2018. UPDATE: On-feet photos of the “Static” adidas Yeezy Boost 350 V2 via LN5Factory. UPDATE: A better look at the “Static” adidas Yeezy Boost 350 V2 that will be releasing sometime this December.